In celebration of both Armed Forces Day and Memorial Day, FlagandBanner.com, will host a book signing of “Fearless” the story of Navy Seal Team Operator Adam Brown which has been adapted for a motion picture. 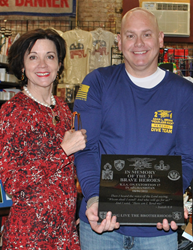 Present to sign the book will be his widow, Kelley and Will Stevens, creator of Fearless Rock underwater memorial. May is military appreciation month. FlagandBanner.com will be observing Memorial Day weekend by hosting a “Fearless” book signing from 10 am until Noon on Saturday, May 26, with Kelley Brown, the wife of Hot Springs, Arkansas native, Adam Brown a deceased Navy Seal of Seal Team 6. Joining her will be Will Stevens, founder of the Fearless Rock underwater memorial that pays tribute to Navy Seal Brown. 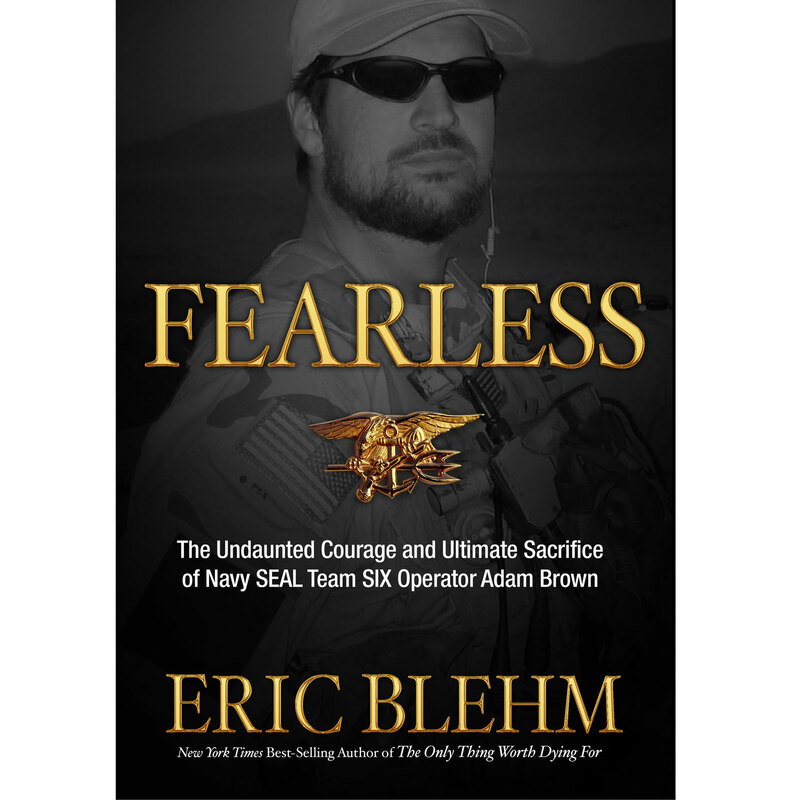 They will discuss the dive memorial and be signing the book “Fearless” the story of Arkansas Seal Team Operator Adam Brown by author Eric Blehm which has been adapted for a movie. FlagandBanner.com showroom is located at 800 West 9th Street, in downtown Little Rock, Arkansas. Memorial Day is Monday, May 28. On that day, flags are flown at half-staff until noon in honor of our fallen military members and at full-staff from noon until sunset in honor of our current active duty service personnel and living veterans. Diver Will Stevens, the founder of the Fearless Rock Adam Brown Underwater Memorial, will be signing books, sharing dive stories and information about the memorial dive site. Volunteers regularly maintain and improve the memorial at Blakely Dam on Lake Ouachita. The underwater memorial includes flags supplied by FlagandBanner.com. Kerry McCoy, president of FlagandBanner.com says, “We’ve hosted this book signing event before but now that we know it’s being made into movie, we couldn’t wait to have them back.” Everyone is invited to attend the book signing and meet Kelley Brown and Will Stevens between 10 am and noon. The “Fearless” book will be available for purchase. Memorial Day sale pricing applies. May was chosen as National Military Appreciation Month by the United States Congress in 1999 because of its multiple military holidays: Armed Forces Day, designated in 1949 and Memorial Day, officially designated in 1971. These holidays are intended to offer the public a chance to thank service members and their families for all their hard work and sacrifices made for the nation. FlagandBanner.com would like to thank the enlisted men and women as well as veterans for answering the call to serve the nation. For more information about the book signing or about FlagandBanner.com products or services call 501.375.7633 or visit them online at https://www.flagandbanner.com.